Sensible Reason had the opportunity to get acquainted with Sunnery James & Ryan Marciano at EDC – New York 2014 on Saturday, May 24. Hailing from Holland, the DJ tandem had just finished a 60 minute long, high energy, entrancing super-show and were in very high spirits. This dynamic, Dutch 1-2 punch drew a massive, adrenaline-charged rainbow of ravers. We sat down with these rising international stars to talk about their upcoming projects, the journey that their talent has taken them on, and the EDM scene at large. They had quite a few insightful thoughts, humble reverence for many EDM legends who had mentored them, and were so down to earth that it “PLURred” the line between a high profile interview and just getting to know a couple of new friends. 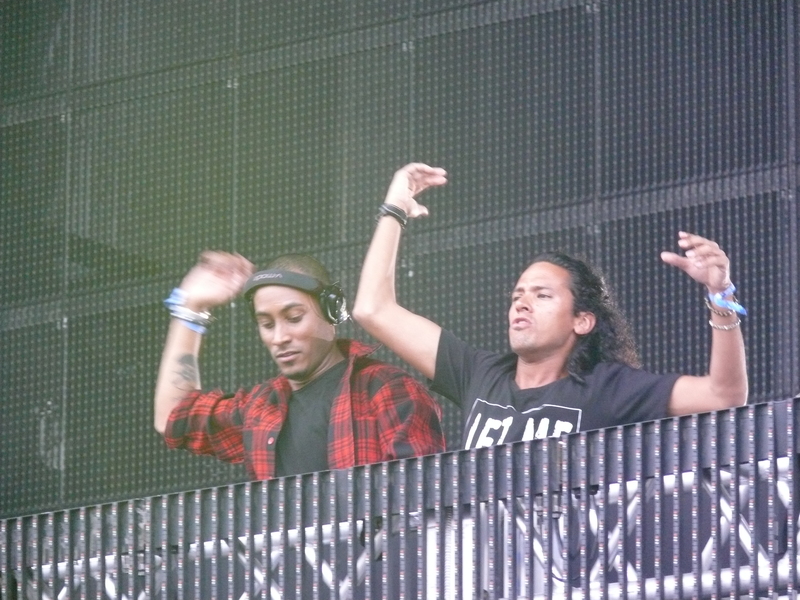 Sunnery James (left) and Ryan Marciano at EDC New York 2014. Sensible Reason: Nice to meet both of you guys! It’s such a pleasure to have you here. Sunnery James: Thank you for having us! SR: How was your set just now? How would you describe the New York crowd and their energy? Ryan Marciano: We need two hours. (laughs) We just drove here in a golf cart and we were talking [about the set]; I think it was good. SJ: Yeah it was good. RM: It’s nice to see the New York crowd; it’s a really good crowd. SJ: Yeah, they love our sound, and they love to move. They were already jumping, then they started to really move and were getting into these beats and stuff. We’re having a really great time! It was fun. SR: What are some similarities between the EDM scene within the US compared to that of Holland and Europe as a whole? What are some differences? SJ: I think you’re gonna get a strange answer now, because 3 years ago, I would say Holland was a little bit more educated [on EDM]. They know their music, and they know what to expect from certain artists, so you have to work really hard to get them going. 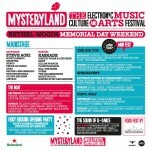 I have to say Holland is going hard as well now on EDM, but it’s quite similar [to the US]. Now everybody gets educated in America really fast. 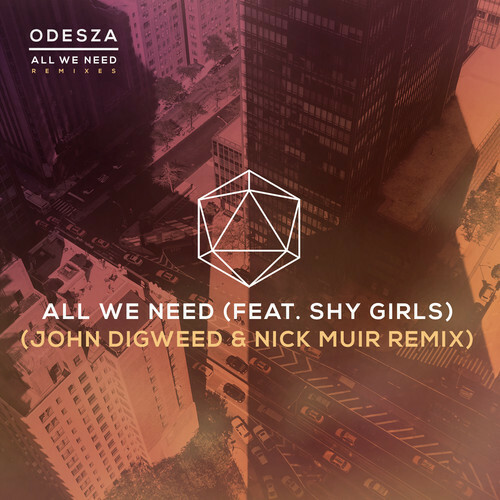 I mean, 4 years ago when EDM came up with David Guetta, Swedish House Mafia and all this stuff, people went for everything, but now they’ve gotten more educated. Like today, we played new tracks, and people went for it, so they’re ready for the new stuff. With the big songs we played they didn’t react how we thought they would react. Then with our new stuff they were like, “Whoa! What is this?!”. They got more educated, and now are like, “Give us some new stuff; we’re ready for it!”. It was nice to see. So I think with the Dutch and the European scene, America is quite similar right now. In the last two years they’ve had so much stuff, so many festivals, club shows, and all of those artists, so I think they’re ready, and it’s all the same now. SR: I was going to ask this later on, but since we’re on the subject of EDM’s progression in recent years, in 2010 your “Amazone Project” mix reached the top of the Dutch charts, and you guys rocked it out in Amsterdam. You started blowing up all over Holland, Europe and beyond. How has your career progressed from that time back in 2010 until now? SJ: This guy knows his stuff! (Laughs) I mean, we’ve been doing this a long time. When we started we were only playing in Holland. Its a big scene; we did, like, 30 to 40 gigs a month only in Holland. It was crazy! 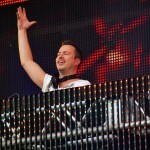 So we had a lot of shows and experience, and had found a way to get out [of Holland] when we did Sensation. Steve Angello picked us up and put us in Pacha Ibiza with Swedish House Mafia. Then we were getting internationally known, like, “Who are these guys from Amsterdam?!”. RM: And then Swedish House Mafia were just really coming up, ya know? And [at Pacha] they were shouting our names. SJ: It was really good for us! We put some nice tracks out, but I think it was with our live sets where it was more like, “Oh wow! These guys Sunnery and Ryan. They’re like something we know, but they’re different!”. That’s how we would get attention from people. That’s how we got to a certain point where it was like, “These guys need to be on all those big lineups and on the mainstage.” Now we’re working on some, well I don’t wanna say it, um . . . ‘commercial stuff,’ and it’s more like for the radio, but it’s still Sunnery and Ryan. I guess you need to have that sort of track to get you on the closing slot on these kind of events, and we’re gonna get there! We’re never gonna lose our real sound, but we’re working on tracks that will take us to the next level. We’ve taken a long journey, have gotten a lot of respect and have had a big following, and we feel blessed, actually, that we can do this without a big, big record. Sunnery James & Ryan Marciano played to a huge crowd this Memorial Day weekend at MetLife Stadium. SJ: We don’t be wanna be corny. A little bit of cheese, but not corny. SR: What are some examples of what inspires your music? Is there any particular artist, theme, or idea that you guys base your music on? RM: We’ve been playing “Spaceman” from Hardwell for 2 years. Do you guys know it? SJ: It’s too good. (laughter) It’s amazing! I think it’s timeless; you can’t touch that record. SR: Did either of you play instruments in your younger years? How has prior musical knowledge or influence helped you guys in your creative process as DJs? RM: Actually, my father was always listening to house and all that kinda stuff. He would actually listen to everything, and that’s what I do as well. That’s what got me into house music. I remember even when I was really young I liked it. SR: That’s pretty cool! Not everyone’s old man listens to house. SJ: I was actually listening to garage. That’s why I really got into dance music, like UK garage. Like, 14 or 15 years ago, it was a movement in England. I was playing soccer; I was in the UK back and forth. So the music gets to me, and I’m like “Whoa, this is really nice!” and I went to all those parties. I would listen to old school house like Dennis Ferrer, Masters at Work, and all those guys, and then we got into house music together actually. [Ryan] was playing 2 step garage back then. We got into it and would follow every single release. We would go to Belgium and England to buy records. RM: You know how the whole garage scene kind of died? Now Disclosure is coming up and all those guys. It’s nice. SR: Which artists or DJs have you had the best time working with, and why? Anyone in particular who you guys look up to? Have you guys mentored any bigtime DJs? SR: Whoa, that’s pretty surreal! SJ: We were like “Ahh Erick! Yes!” This guy’s been around. It’s because of him that everyone else is doing this. He was one of the first superstar DJs, you know, like Tiësto and Roger Sanchez. Definitely Nicky Romero, we worked with him on “Sound of the Underground.” Talented guy. He showed us so much love and showed us so much stuff producer-wise. Also Ingrosso and Axwell, they both supported us. SJ: He’s a great, great kid! Really talented. Love that guy; he’s amazing. 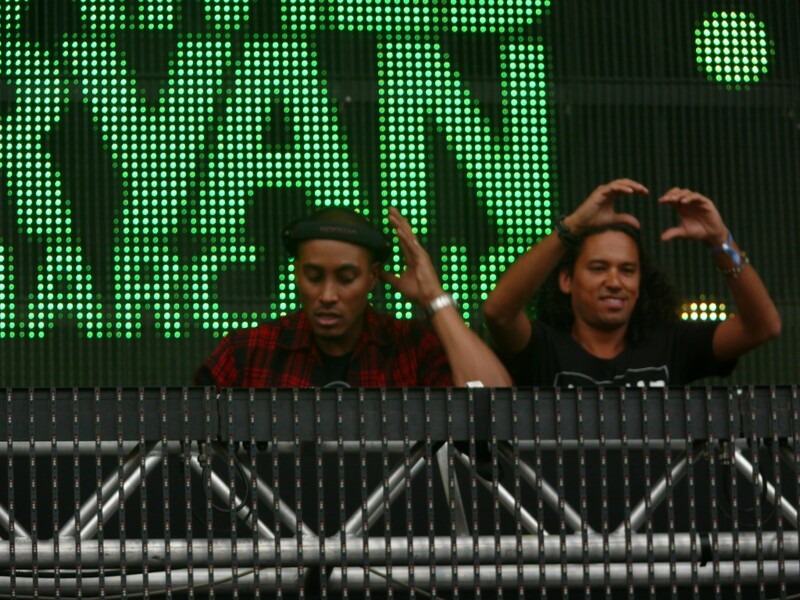 Sunnery James and Ryan Marciano showing love to EDC New York. SR: I saw on your website you guys have a “Drop Your Demo” tab. That’s a very cool thing for top artists to have. SJ: Yeah, you have to! Without new talent, the scene will die, so you have to keep it going. That’s how it is. We love dance music, so we have to keep it alive. It’s not about being like, “Oh, everything is mine.” If there’s new talent, spread it! SR: If you could pick one favorite show out of everywhere you have ever played, where would it be? RM: It’s like a valley. SJ: It’s so amazing! It’s almost like a fairy tale. RM: This year we’re gonna do a 3 hour set on the mainstage! SR: That should be an amazing time! One last question, do you have any other big plans for 2014? SJ: Apart from Tomorrowland, we’re gonna do EDC Las Vegas. RM: We’re gonna do Hakkasan in Vegas as well. It’s big for us; it’s an amazing club. 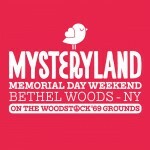 SJ: We’re doing Mysteryland in Holland, too. RM: Also Amnesia this July in Ibiza. SJ: We’re playing with Hardwell soon as well. We have a lot of stuff. New tracks are coming out on Spinnin’ Records. We also did a remix for Calvin Harris and Alesso. We just got a new website, check it out it’s called www.sj-rm.com. We have a lot of new stuff this year. It was a wonderful time getting to know these guys. Be on the lookout for Sunnery James & Ryan Marciano; they will be absolutely everywhere this summer, so you won’t have to look too hard! A special thanks to Sunnery & Ryan, as well as their manager, for taking the time to hang out with us. Also, congratulations and the best wishes for Sunnery and his wife Doutzen! They’re expecting their second child soon. It’s gonna be a little girl! 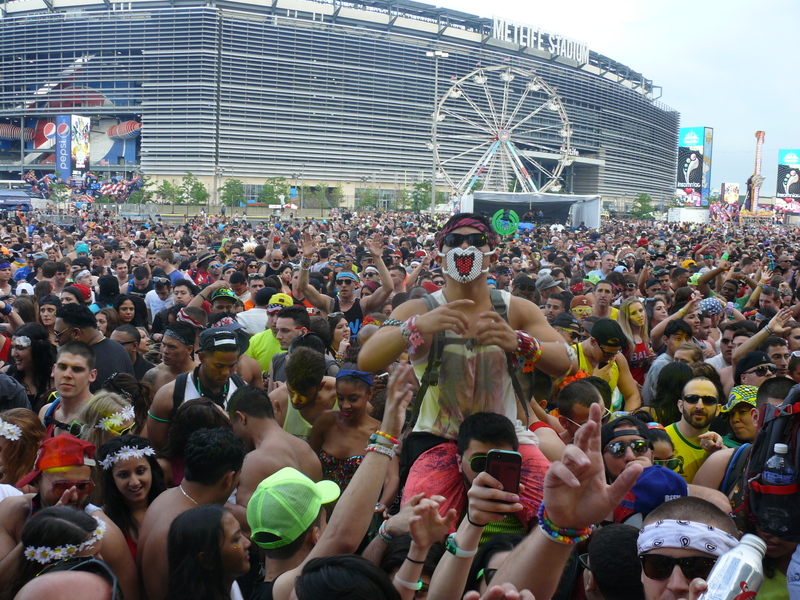 Last but not least, much love and respect to everyone who made EDC New York 2014, a weekend to always remember. 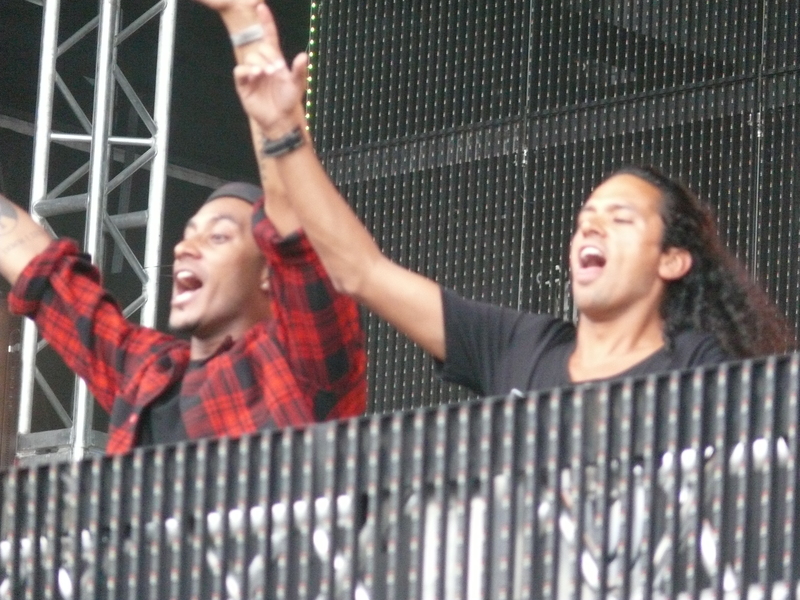 Sunnery James & Ryan Marciano shower the Meadowlands with a torrential bass downpour!